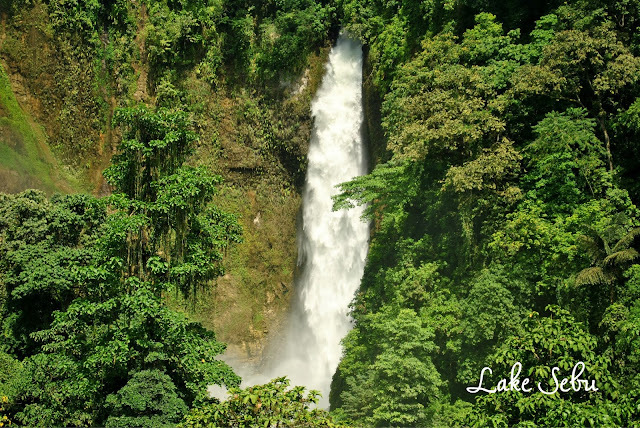 Tucked in the mountains of South Cotabato, the town of Lake Sebu has all that it takes to be called the ultimate travel destination -- cold breeze, fresh foods, majestic waterfalls, glassy lake water, warm people, and well-preserved traditions . It is a one-stop place for those in search for a relaxing, cultural, and an adventure-filled travel. I immensely enjoyed my stay and profoundly learned to appreciate the quiet and laid-back life of the people there. The trip was highlighted by our lunch overlooking the placid lake, meeting Lang Dulay (a National Living Treasure and dreamweaver of T'boli's famous cloth T'nalak), and the thrilling zip line ride to the Seven Waterfalls (saved us an arduous trek without missing the breathtaking view). About two hours away from General Santos City, Lake Sebu is a destination worth-visiting. You may brush off your fears regarding security issues as this is one of the most peaceful places in Mindanao that I've been to. The local people are friendly and accustomed to visitors, thus going around is not a problem. Visit my posts about Lake Sebu here.